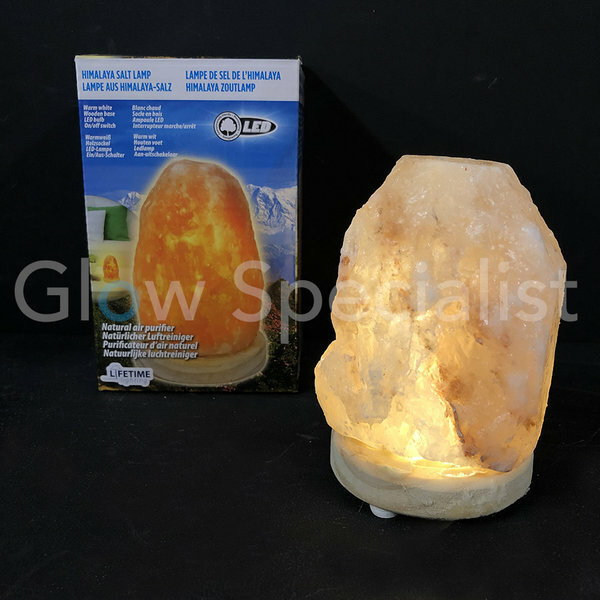 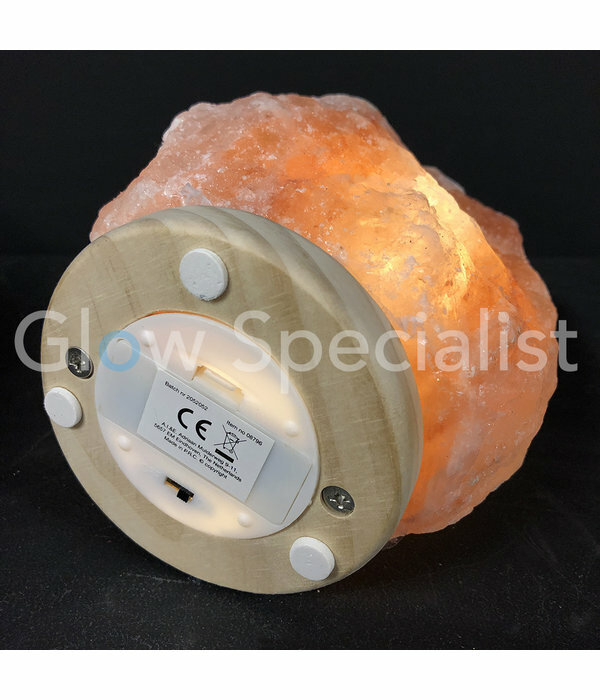 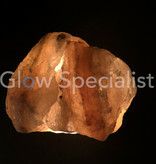 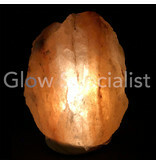 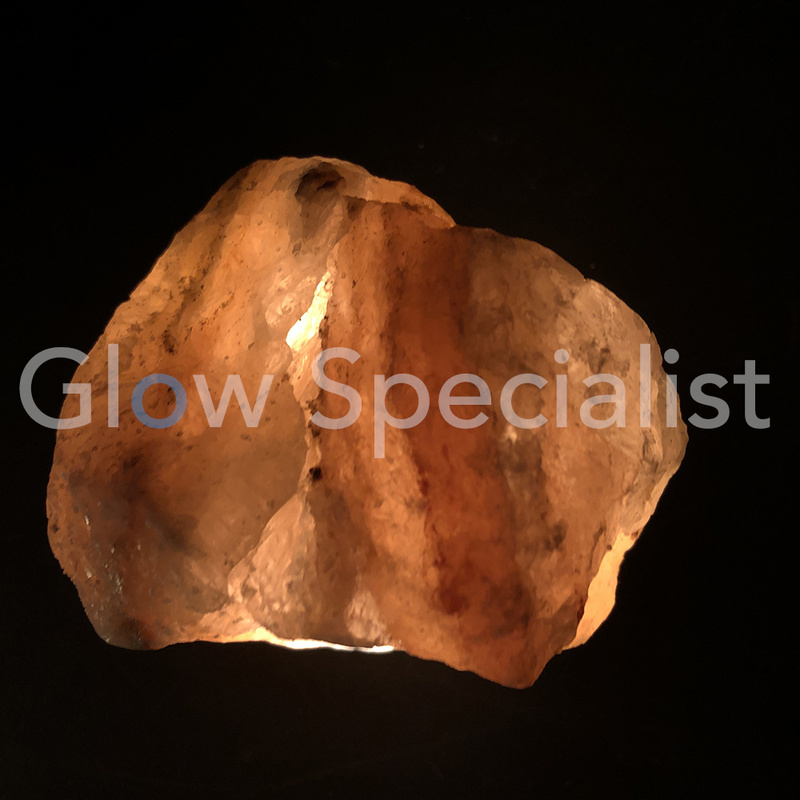 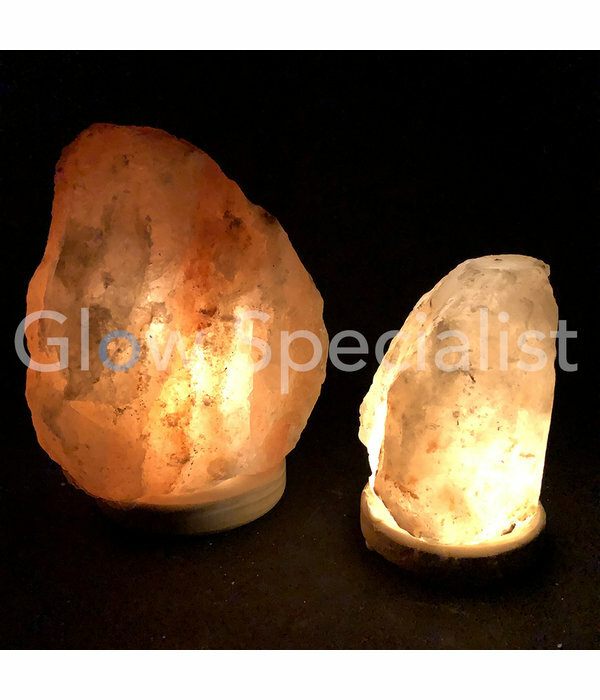 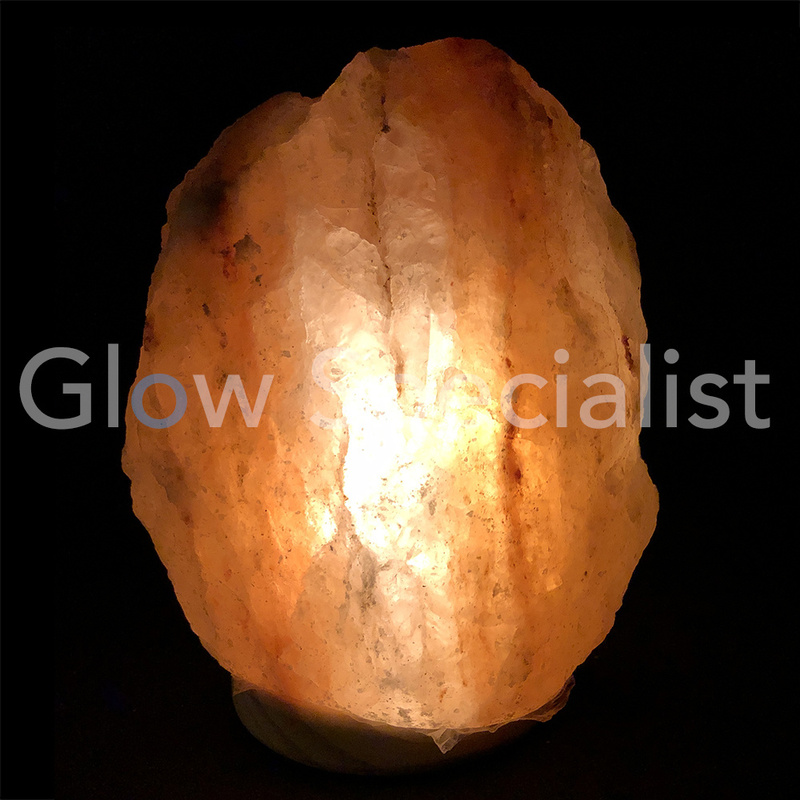 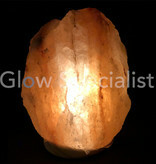 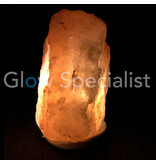 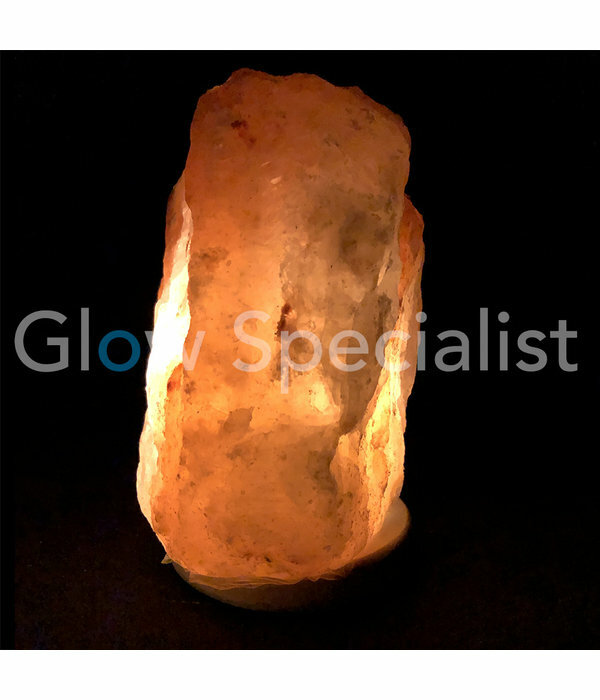 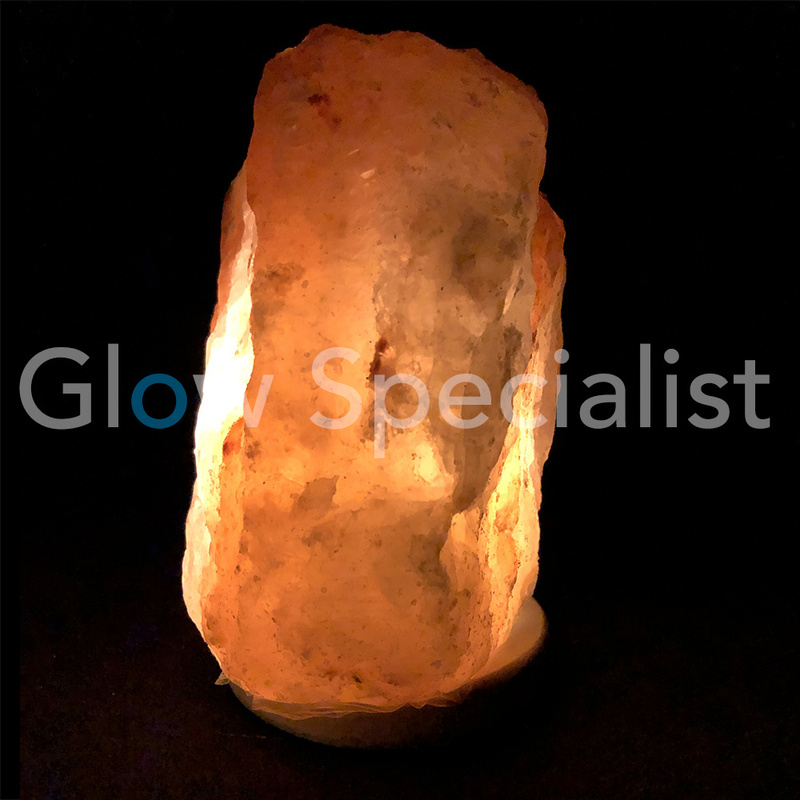 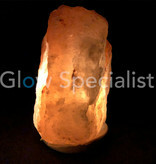 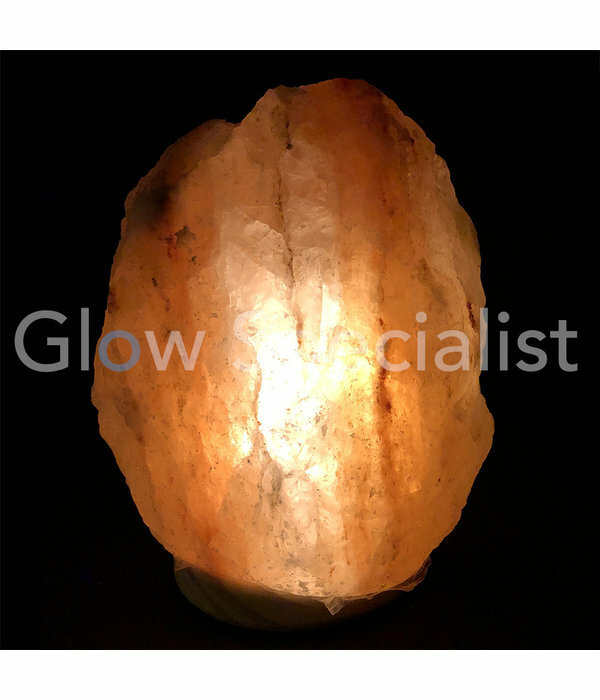 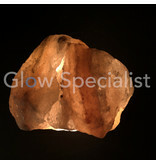 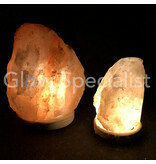 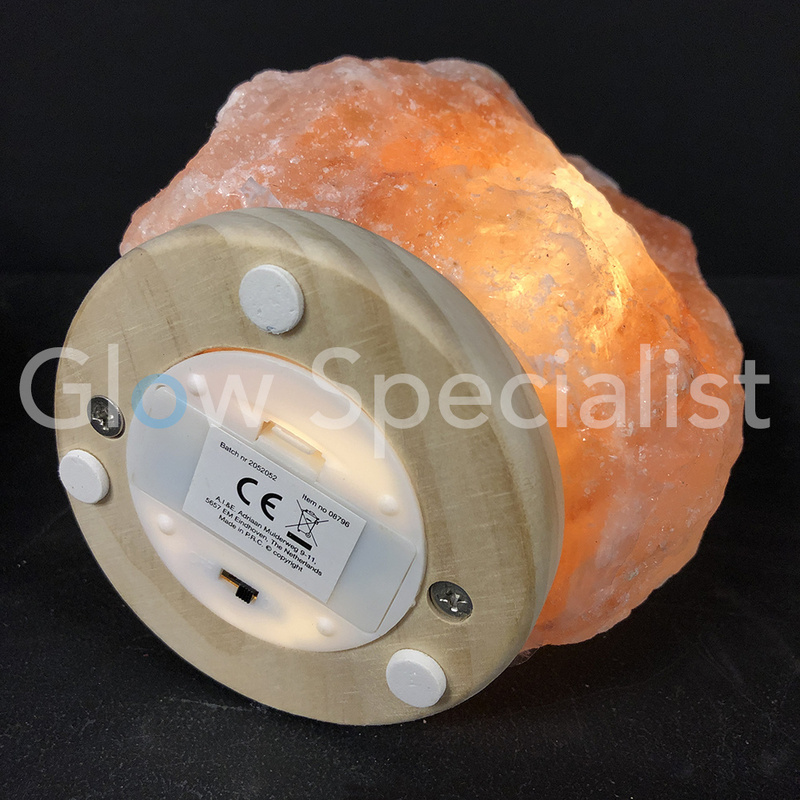 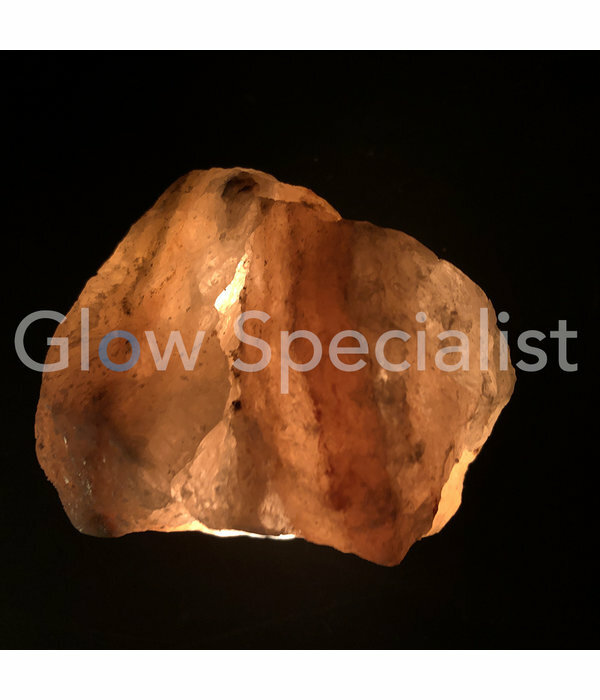 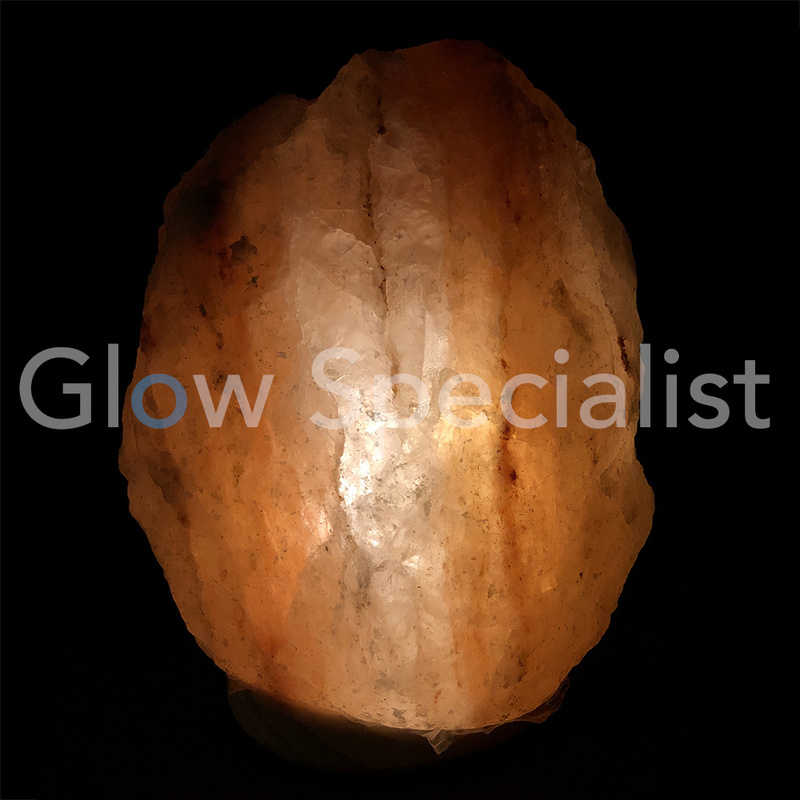 Made by hand, from natural salt crystal from the Himalayas with a salmon color. 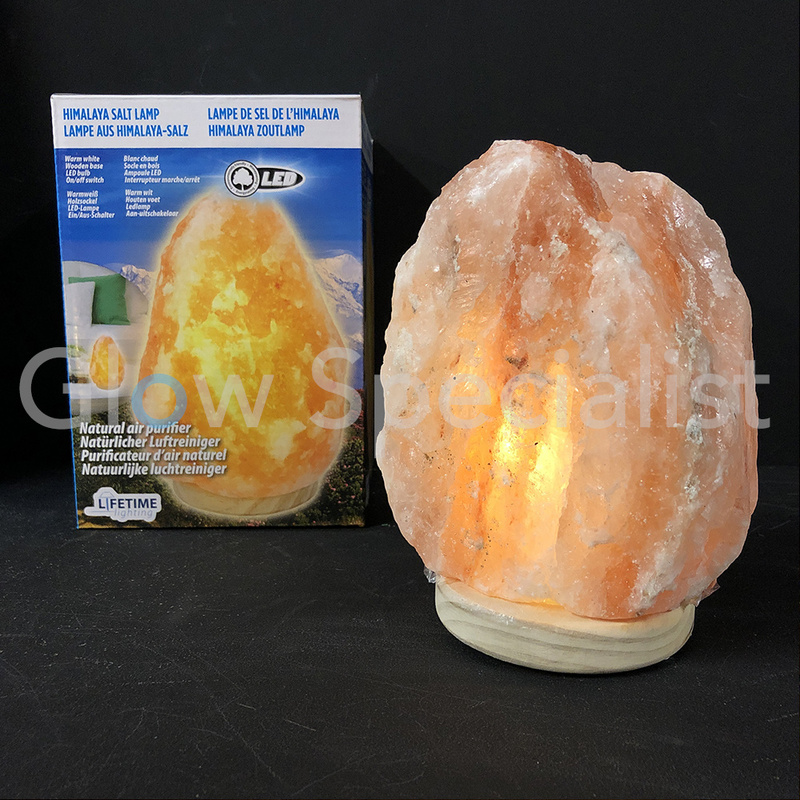 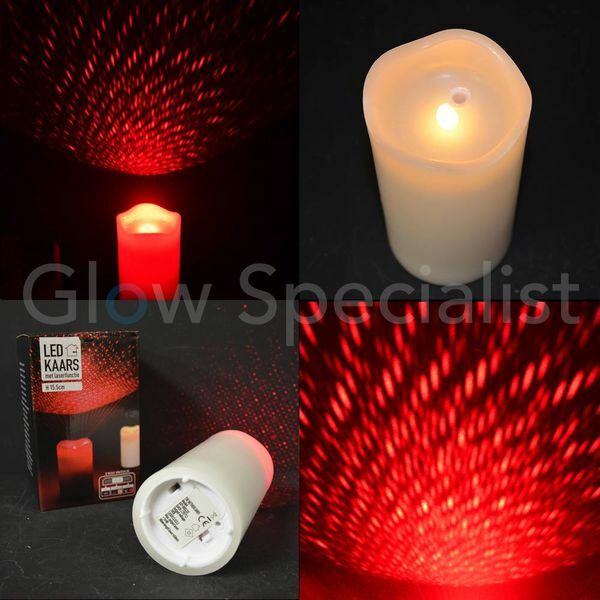 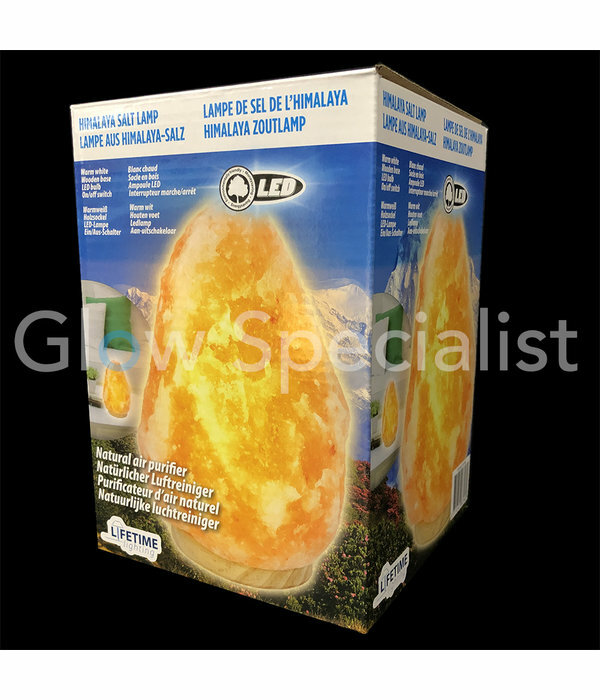 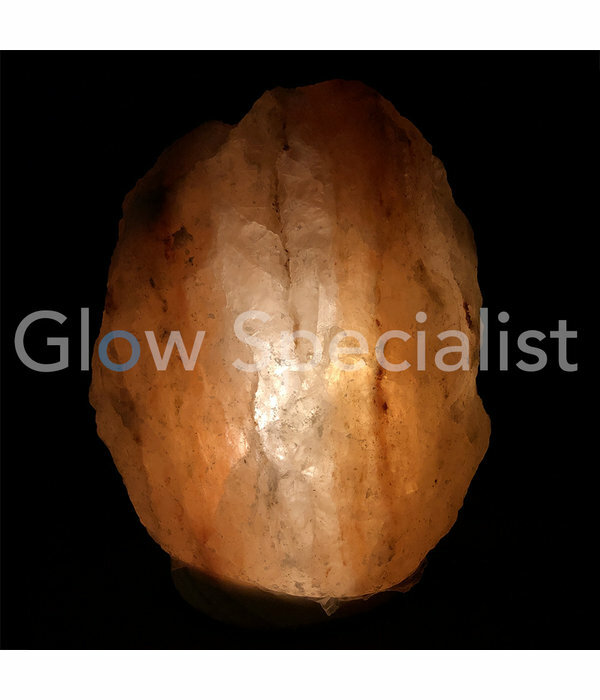 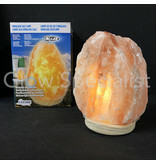 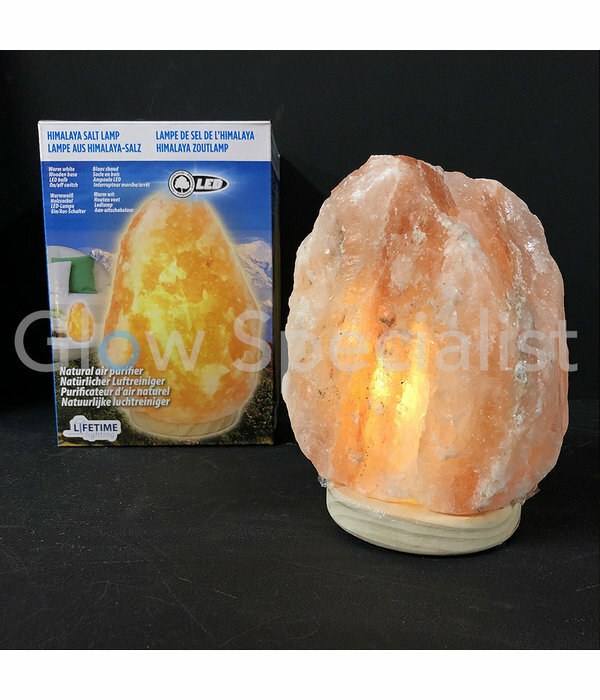 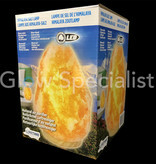 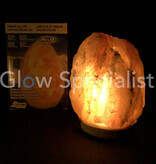 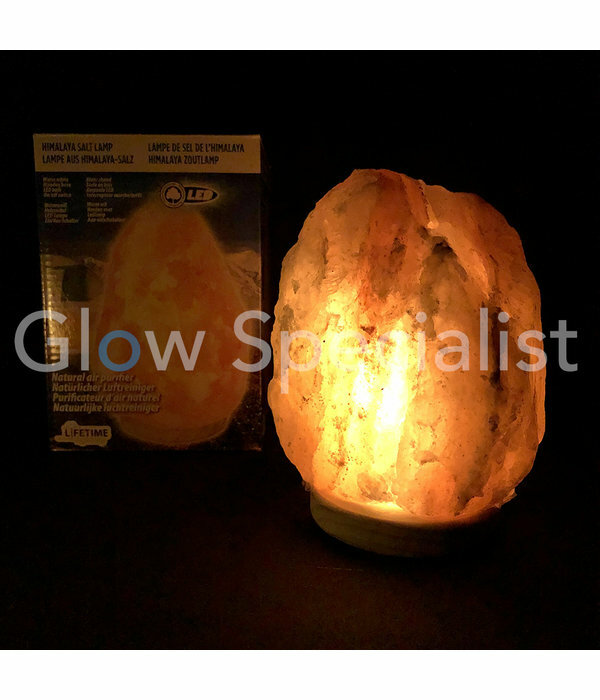 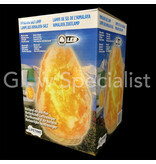 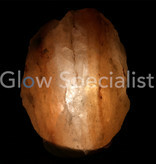 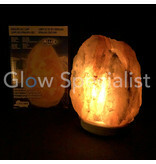 The salt attracts moisture from the air and that evaporates as soon as you turn on the lamp. This makes it a simple and natural air purification system. 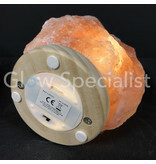 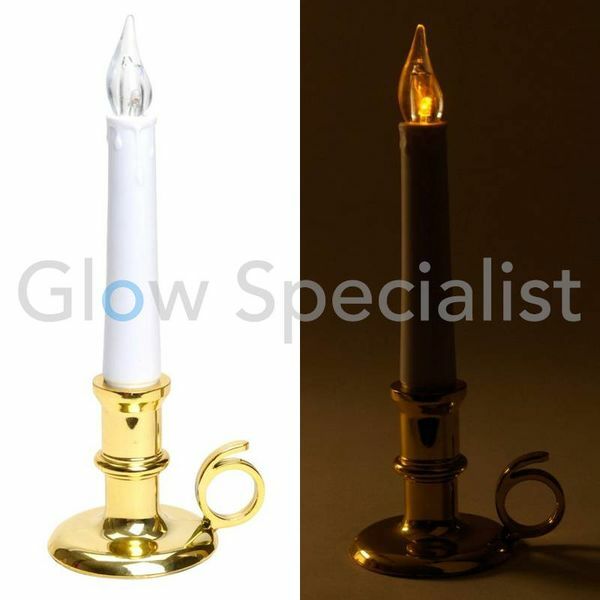 The lamp spreads a soft light (warm-white), creating a warm, cozy and relaxing atmosphere, stands on a wooden base. It works on 2x AAA batteries, so you can easily place it wherever you like. 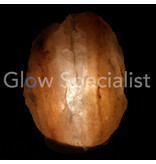 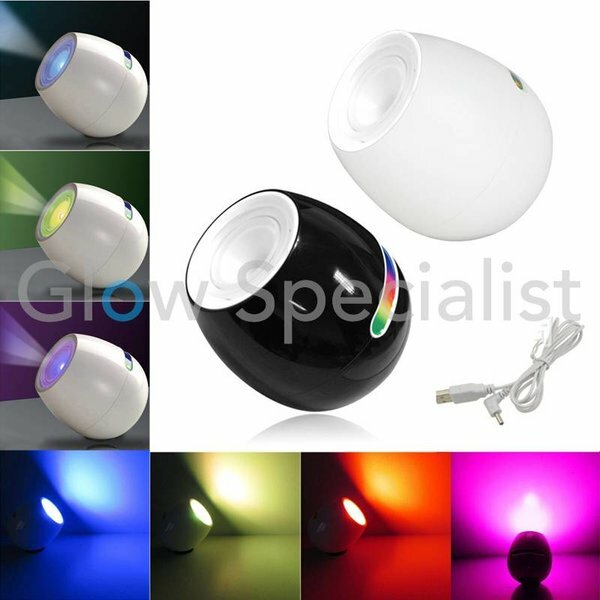 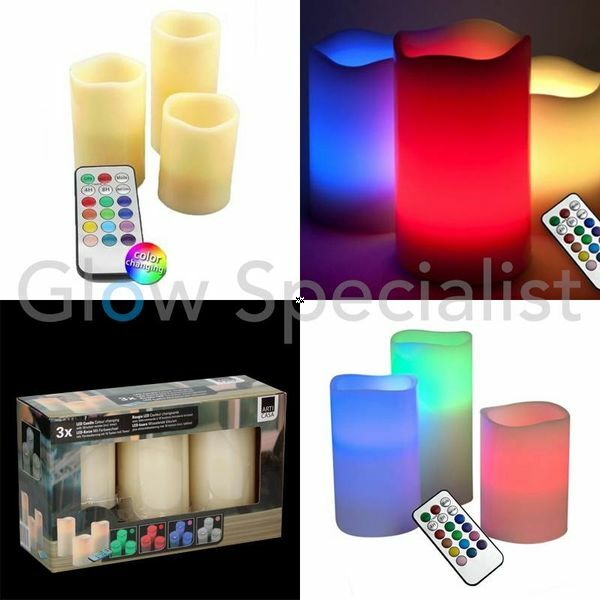 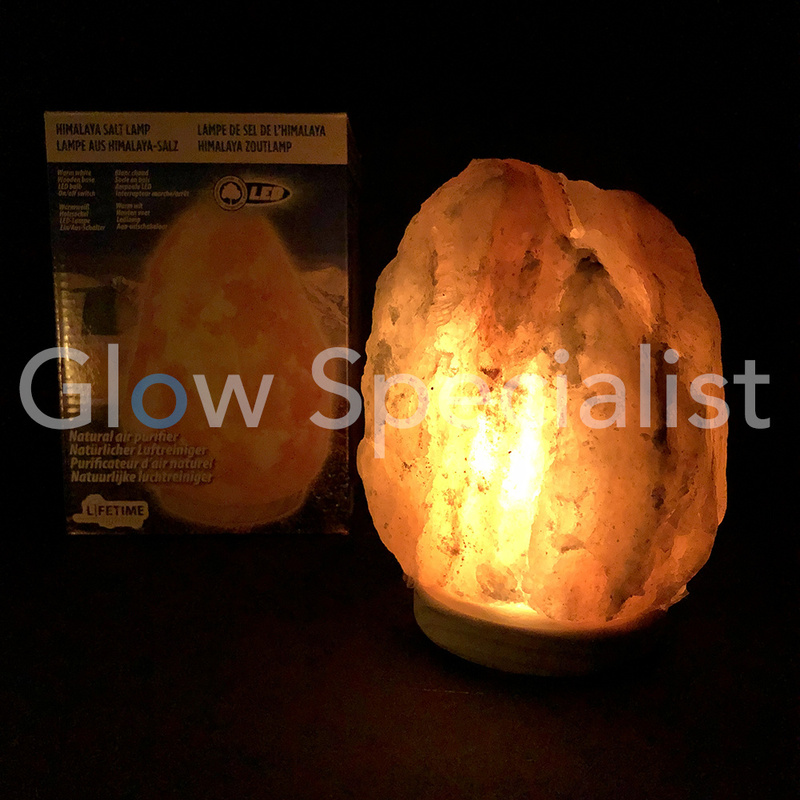 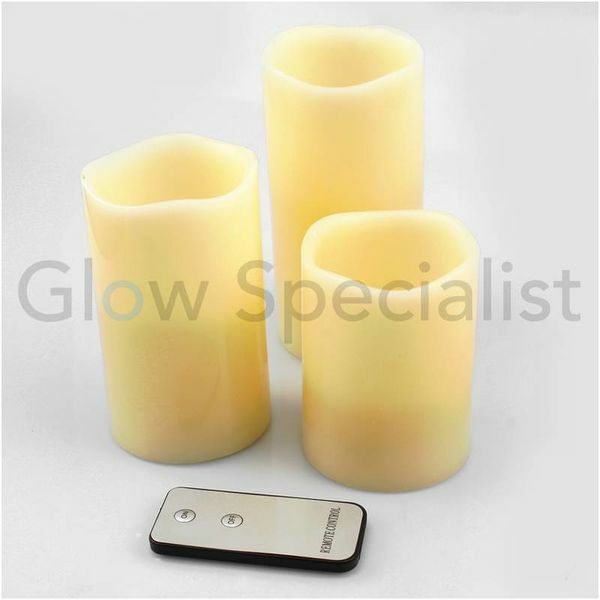 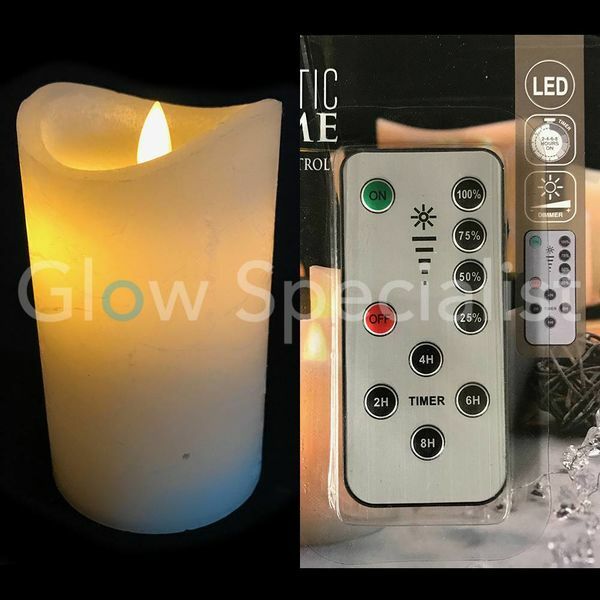 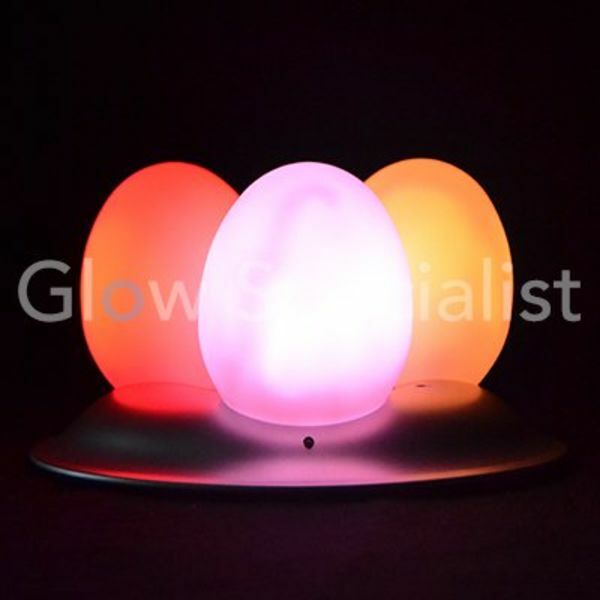 Often used in massage practices, yoga studio's, beauty salons, wellness resorts etc.